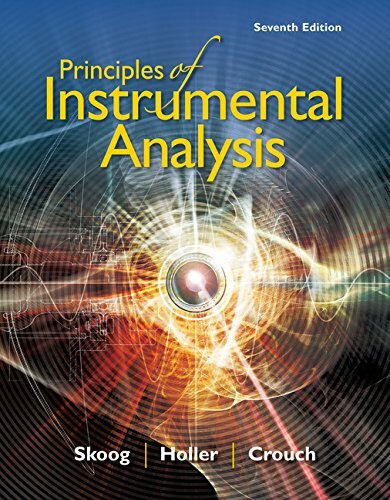 1305577213 -PRINCIPLES OF INSTRUMENTAL ANALYSIS is the standard for courses on the principles and applications of modern analytical instruments. In the 7th edition, authors Skoog, Holler, and Crouch infuse their popular text with updated techniques and new Instrumental Analysis in Action case studies. Updated material enhances the book’s proven approach, which places an emphasis on the fundamental principles of operation for each type of instrument, its optimal area of application, its sensitivity, its precision, and its limitations. The text also introduces students to elementary analog and digital electronics, computers, and the treatment of analytical data. A companion website is available, providing students with tutorials on instrumental methods, Excel files of data analysis, and simulations of analytical techniques to help them visualize important concepts. Digital Object Identifiers (DOIs) are provided for most references to the primary literature.